Biography: Sarah Yi-Mei Tsiang is the author of several children's books and some books of poetry. 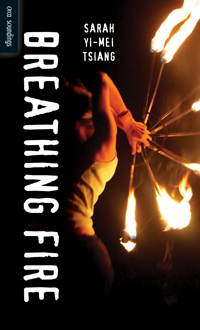 Her work has been published and translated internationally, named to the OLA'S Best Bets for Children (2010), CCBC's Best Books for Kids & Teens (2011 and 2012) and the Toronto Public Library's First and Best Book List (2012), and nominated for the Blue Spruce and Silver Birch Awards. She lives in Kingston, Ontario. For more information, visit www.sarahtsiang.wordpress.com. I've been in a few fights in my life, but never with oiled-up muscle women in spangled bodysuits. I’ve been in a few fights in my life, but never with oiled-up muscle women in spangled bodysuits. 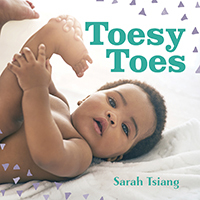 A rhyming, read-together celebration of piggledly-wiggledy baby toes.